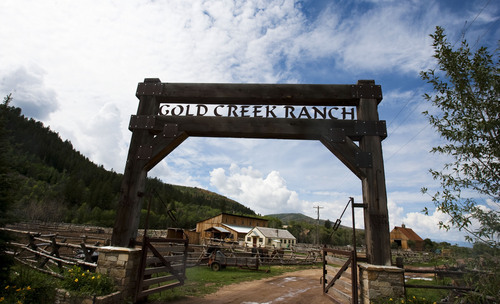 Profile • The man behind Gold Creek Farm's prized creations has gone far in distance and expertise to garner high respect on Utah's gastro scene. 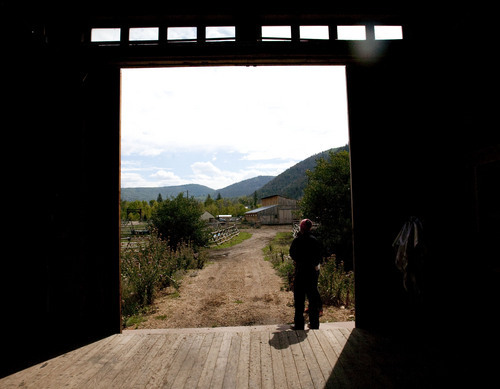 Steve Griffin | The Salt Lake Tribune Gold Creek Farm in Woodland, Utah, Monday Sept. 11, 2013. Steve Griffin | The Salt Lake Tribune Sally is one of the many Brown Swiss Cows that provides milk for the cheese making at Gold Creek Farm in Woodland, Utah, Monday Sept. 11, 2013. Steve Griffin | The Salt Lake Tribune Casein is separated from the whey liquid as cheese makers at Gold Creek Farm in Woodland, Utah, make mozzarella cheese Monday Sept. 11, 2013. Steve Griffin | The Salt Lake Tribune Many of the cheeses made by Gold Creek Farm in Woodland, Utah, Monday Sept. 11, 2013. Steve Griffin | The Salt Lake Tribune Cheese maker Fernando Chavez-Sandoval describes the cheese making process at Gold Creek Farm in Woodland, Utah, Monday Sept. 11, 2013. Steve Griffin | The Salt Lake Tribune Cheese maker Fernando Chavez-Sandoval in one of the many coolers at Gold Creek Farm in Woodland, Utah, Monday Sept. 11, 2013. Steve Griffin | The Salt Lake Tribune Cheese maker Fernando Chavez-Sandoval stretches the hand made mozzarella at Gold Creek Farm in Woodland, Utah, Monday Sept. 11, 2013. Steve Griffin | The Salt Lake Tribune Cheese maker Fernando Chavez-Sandoval stands in the barn at Gold Creek Farm in Woodland, Utah, Monday Sept. 11, 2013. Steve Griffin | The Salt Lake Tribune Cheese maker Fernando Chavez-Sandoval holds a wheel of rosemary mint cheddar in one of the many coolers at Gold Creek Farm in Woodland, Utah, Monday Sept. 11, 2013. Steve Griffin | The Salt Lake Tribune Cheese maker Fernando Chavez-Sandoval carries a basket of casein that will be made into mozzarella cheese at Gold Creek Farm in Woodland, Utah, Monday Sept. 11, 2013. 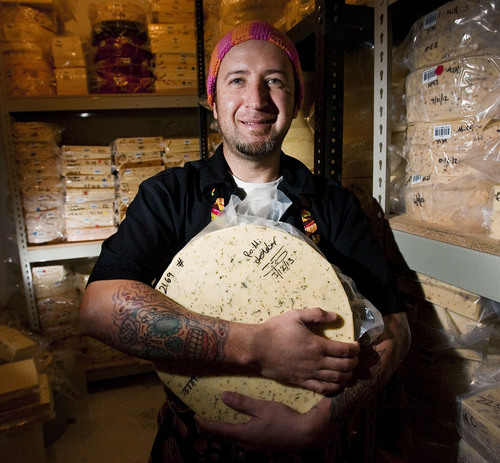 Woodland • Fernando Chavez-Sandoval&apos;s Gold Creek Farm cheeses have earned a place on the plates of some of Utah&apos;s top restaurants. His Romano flavors a risotto at Talisker on Main. His coveted and scarce butter melts on bread at Forage. What stumps him is explaining the key to his success, which includes winning top honors by the American Cheese Society for his smoked cheddar and smoked Parmesan this year and making the world&apos;s best smoked white cheddar in the World Champion Cheese Competition last year. "It&apos;s not that I don&apos;t want to share," said the humble 35-year-old. "I don&apos;t know. 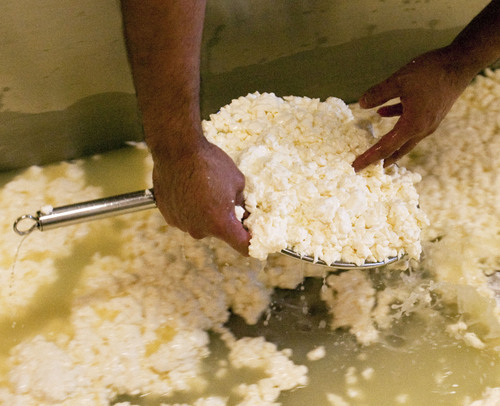 For me, it&apos;s just making cheese every day." 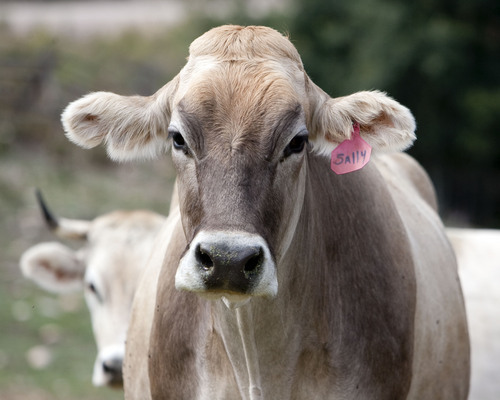 Certainly it has to do with the farm&apos;s 20 Brown Swiss cows, with names like Susan and Sally  and their special diet. And that Chavez-Sandoval is a chef who likes to experiment in the kitchen. There&apos;s also the smoker he and his assistant made. But Chavez-Sandoval thinks his state of mind is equally important. The Mexican immigrant, who learned English while washing dishes when he moved to Utah, has the full support of generous bosses who have let him run with his creations and reap the benefits when they succeed. "This is what we come for," he said recently on the 130-acre ranch located along the banks of the upper Provo River in the Uintah Mountain valley that is his workplace. "For me, this is my American dream." Success story • Chavez-Sandoval grew up in Aguascalientes in North-central Mexico. His father died when he was 10, which is about when he dropped out of school to work at a car wash to help support his family, he said. Years later, his sister came to Utah to make money to support her cheesemaking business in Mexico and suggested he come, too. He arrived in February of 1998 without a coat or gloves and recalled it as "horrible." But the then-19-year-old wanted to save money to buy a house and car back home. He got a job as a dishwasher at The Gateway Grille in Kamas and was encouraged to teach himself two English words a day. He eventually moved up to the salad station, then grill and saute stations. When the sous chef left, "It was my time to shine," he recalled. 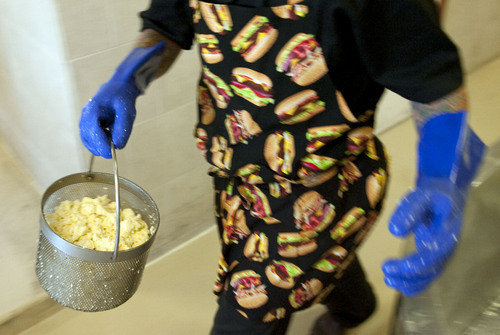 He later worked for the restaurant&apos;s catering company  helping make food for Mitt Romney, President George W. Bush and the Clintons  which is how he ended up cooking for the Golds. He had no experience making cheese but, as he tells it, they liked his cooking enough to trust him. They hired him as their cheese maker and sent him to a two-week course at Utah State University to learn the science behind the art. Just a year later, in 2010, he won second-place from the American Cheese Society for his smoked white cheddar. The awards kept coming: eight from the American Cheese Society; three from the World Champion Cheese Competition and two from the U.S. Championship Cheese Contest. The farm produces about 500 pounds of cheese a week, and has already matched last year&apos;s sales in just six months of 2013. The cheesemaker is inspired by what the ranch grows in their greenhouse, making rosemary-mint cheddar, one of 13 kinds of cheddar. The bacon chive cheddar is made from the Berkshire pigs that were brought to the farm to eat the whey leftover from making cheese. The pigs now also eat scraps from local restaurants, which are buying the pork to feature on their menus. For the chefs • Chavez-Sandoval makes speciality cheeses for several restaurants, such as the cheddar made with Habanero sauce which tops a bison burger at Silver Lake Restaurant at Deer Valley. Chavez-Sandoval said he&apos;s the only Utah producer making Parmesan and Romano. Unlike the rest of the cheeses that he makes with whole milk, those types use part skim milk, leaving cream for the butter he produces and the soaps and lotions his wife makes. It&apos;s not a money-maker but Gold Creek still makes mozzarella  by hand, as with all the other cheeses  to help out restaurants like Daly&apos;s Pub & Rec at the Montage, which needed a mozzarella with less moisture to keep its wood-fired crusts crispy. Since the Montage restaurants were one of his first customers, "We feel like we owe them something," he said. Kevin Donovan, executive chef at the Promontory Club, exclusive resort community in Park City, was recently at the farm to buy seven different types of cheeses. "Fernando makes an incredibly good product. He works really well with all us local chefs, making cheeses with us in mind." Chavez-Sandoval and his assistant, Enrique Jimenez, built their own smoker, which looks like a closet that they must manually adjust depending on the weather. "Chefs come in [to buy cheese] and they think the smoker is the secret. They come look and say, &apos;I have a better smoker,&apos;" Chavez-Sandoval said. "There is no secret. You smoke the cheese with cherry wood." Unlike larger operations, he doesn&apos;t use liquid smoke, which makes a difference, said Shauna Durrant, specialty cheese merchandiser for Harmons, which carries some Gold Creek cheeses and plans to add more. Cheese made with liquid smoke is "way overblown, the smokiness. It&apos;s all you can taste," she said. But with Gold Creek, you "can taste the subtle milkiness of the cheese. You get the nuttiness of the Parmesan and that smoke flavor, too." On a recent day, the cows  which were picked for their rich, yellow milk that produces a high butter-fat content  were out in the pasture munching on hay and slurping from buckets of mash leftover from whiskey production at the High West Distillery. It&apos;s another way Chavez-Sandoval tries to eliminate waste. "It&apos;s all about we love what we do," he said of the farm&apos;s success. "And it&apos;s reflected in the product." 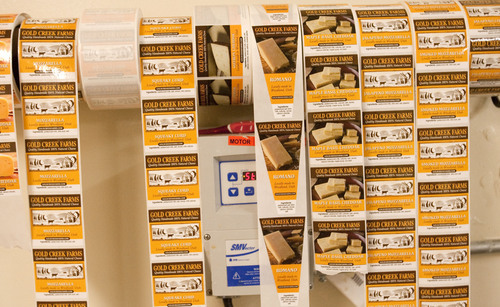 Gold Creek isn&apos;t the only Utah cheesemaker racking up national awards. Wasatch Back Jack, a pepper jack made with salsa by Heber Valley Artisan Cheese, was recently named the best-flavored Monterey Jack by the American Cheese Society, the same group that lauded Gold Creek. That group also gave Heber Valley a second place for its Cascade Raw cheddar and its Queso Fresco Verde. It awarded Gold Creek&apos;s Salted Black Italian Truffle butter second place. The awards are a big boost for the small operations as they sell their cheeses to markets and restaurants. "It means a lot when you say, &apos;You&apos;re using the country&apos;s best pepper jack in your dish," said Russel Kohler, one of the owners at Heber Valley. The fourth-generation dairy farmers only recently turned to cheesemaking, in 2011, when selling milk wholesale became a money-loser. Kohler said his 250-head heard of Holstein-Friesian cows are free to roam on pasture, and he has moved away from feeding them corn to avoid genetically modified organisms. "We&apos;re just striving to get the best-quality milk on the dairy. It makes great cheeses," he said. Harmons carries both brands of cheese and plans to keep adding more flavors, said Shauna Durrant, the grocer&apos;s specialty cheese merchandiser. "People need to look in their backyard and see what&apos;s out there," she said. "You still have a lot of people who don&apos;t realize Utah has some award-winning producers."